The best age to have an assessment is about 8-9 years old. Some children are best to start treatment at this age, but most will likely need to wait for more of their adult teeth to erupt. In general orthodontics is most effective if combined with the pubertal growth spurt between ages 12-16. Orthodontics is safe and effective at any age, although treatment time can often be longer in adults. Invisalign, Braces Or Lingual Braces? Invisalign is more comfortable, and less noticeable, but actually requires mental discipline to make sure the Invisalign trays are worn almost constantly. One of the big advantages though is that they can be removed, making cleaning your teeth just like normal. They aren’t suitable for all patients, treatment times can be longer and sometimes the finished result isn’t quite as perfect as moving teeth with braces. Braces are getting better. Ceramic brackets are almost invisible, and all that is really seen is the wire which moves the teeth. Braces take some getting used to, and require very contentious teeth cleaning. Treatment can sometimes be quicker and more precise. 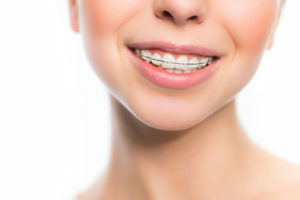 Lingual braces have the advantage of hiding the braces bracket on the inside of the teeth instead of the front surface. They can be difficult to clean and treatment can take longer than normal braces. They are also the most expensive. Not everyone can wait 6 months to 2 years for a perfect smile. Cosmetic Dentistry and Veneers can provide an immediate solution which looks as natural to those who need it.